Nicholas Sanchez kicked 13 points as Argentina dominated the final quarter to register a 15-31 win over Italy at Stadio Artemio Franchi on Saturday. 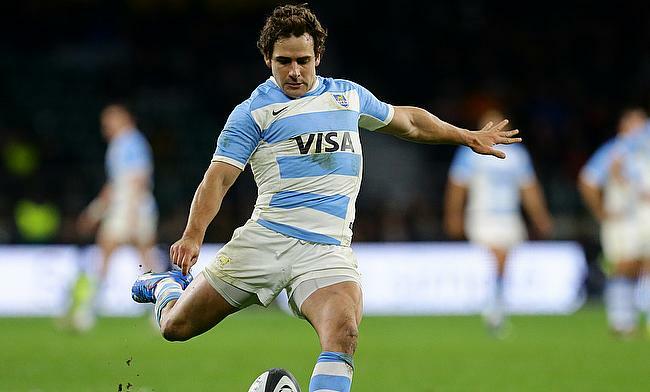 Replacement fly-half Juan Martin Hernandez took over Sanchez in the fifth minute and opened Argentina's account with a 11th minute penalty but Carlo Canna helped Italy level the scores with a three-pointer a minute later. Canna soon brought Italy into the lead for the first time with a second penalty but six minutes later Sebastian Cancelliere scored the opening try to take the scoreline to 6-8. A third penalty from Canna ensured Italy ended the first half with a 9-8 margin. The third quarter saw Sanchez slot three penalties while Italy's response came from a penalty and a drop goal from Canna and Marcello Violi respectively as the Pumas continued to have a slender two point lead. With the game entering the final 15 minutes, all three results were possible but back to back tries from Marcos Kremer and Joaquin Tuculet ensured Argentina completed a 16 point victory to bring their campaign on track.